Camping Domaine des Renardières är en camping i Notre-Dame-de-Riez, Vendée, belägen i skogen. Campingen har platser med stängsel, med skugga och platser med lite skugga. Det finns möjlighet att hyra husbilar. På campingen finns en lekplats och ett sportområde. För den sportige semestervandraren har campingen utflyktsprogram och olika cykelleder. Det finns ett underhållning. Campingen förfogar över en utomhusbassäng, ett uppvärmt inomhusbad och ett knattebad. Denna inspektör gör varje år ett besök på Camping Domaine des Renardières och inspekterar campingen för ca 200 faciliteter och för andra förekommande punkter. Inspektören är en medarbetare från ACSI och arbetar inte för campingen. What a lovely campsite and extreemly friendly thanks to caroline for our lovely pitch and your hospitality. We turned up late on our motorbike very tired , a friendly family even came over and offered us a full on picnic as we were too late to buy food! thanks so much there was a lovely atmosphere that evening with all nationalities happily playing boules, my only regret is we only staying one night. If we are ever in thast area again i would definately return to this site. Dena and glenn stayed 5/8/12. This site is perfect for families. Our 4, 7 , 10 and 14yr olds absolutely love it here and they never want to leave at the end of the holiday. Our children had so much freedom to ride their bikes around the site and they are very safe. No busy roads, set on a quiet country lane. Highly recommend! Caroline +2 Bernad's cannot do more for you. The site is very clean more than I can say for sites that have 4 stars and more. The garden is well looked after, members of staff walk around to collect any rubbish if there is any. It must be good as we would go back year after year for the last twenty odd years. If you are into camping give it a try, you'll be surprised. Just got back home after a weeks stay on this camp site. Children did not want to leave as made so many friends here. A very safe, family friendly, clean and tidy establishment with welcoming staff who go above and beyond to ensure your stay is good. A mixture of French and English families who return here year after year and make newcomers more that welcome. We enjoyed it so much we booked our next years family holiday here before we left. Well recommended. This was a dreadful campsite, we intended to stay for 10 days but left after 4. The noise from the on site disco was very annoying and went on well after the midnight curfew. The toilets were disgusting and a general air of neglect pervaded the site. I would not recommend this site. Vill du boka campingen Camping Domaine des Renardières eller få mera information? Det går bra med nedanstående uppgifter eller via campingens webbsida. 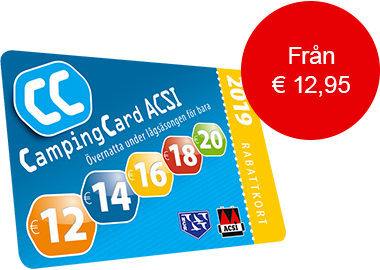 ACSI Eurocampings skickar din informationsförfrågan till "Camping Domaine des Renardières".